 The following events and resources may be of interest to our clients, prospective clients, and others involved in core research facility management. Angeletti, RH, et al. (1999) Research Technologies: Fulfilling the Promise. The FASEB Journal, 13(6), 595-601. Hockberger, P, et al. (2018). Building a Sustainable Portfolio of Core Facilities: a Case Study. Journal of Biomolecular Techniques : JBT, 29(3), 79–92. McMillen, DA, et al. (2000). Biotechnology Core Laboratories: An Overview. Journal of Biomolecular Techniques : JBT, 11(1), 1-11. Meder, D, et al. (2016). Institutional Core Facilities: Prerequisite for Breakthroughs in the Life Sciences: Core Facilities Play an Increasingly Important Role in Biomedical Research by Providing Scientists Access to Sophisticated Technology and Expertise. EMBO Reports, 17(8), 1088-1093. Slaughter, C. (2005). A Bright but Demanding Future for Core Facilities. Journal of Biomolecular Techniques : JBT, 16(2), 167–169. Turpen, PB, et al. (2016). Metrics for Success: Strategies for Enabling Core Facility Performance and Assessing Outcomes. Journal of Biomolecular Techniques : JBT, 27(1), 25-39.